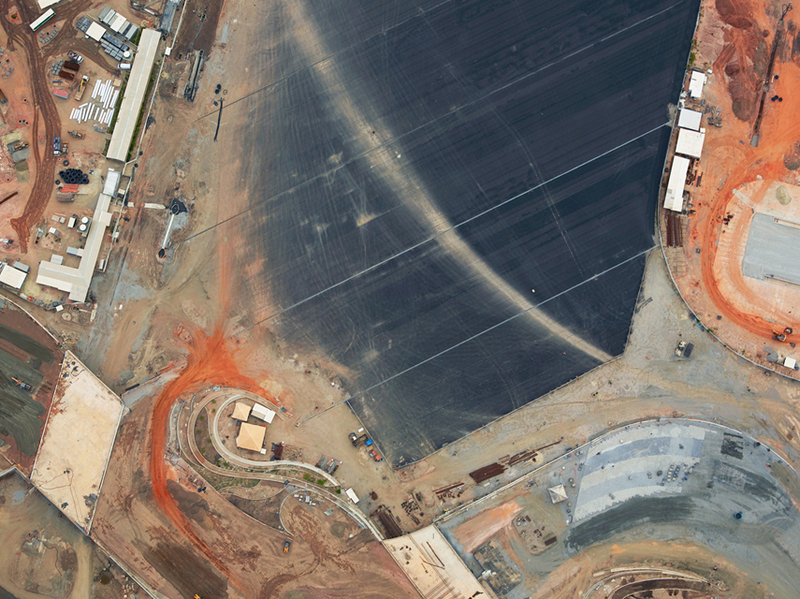 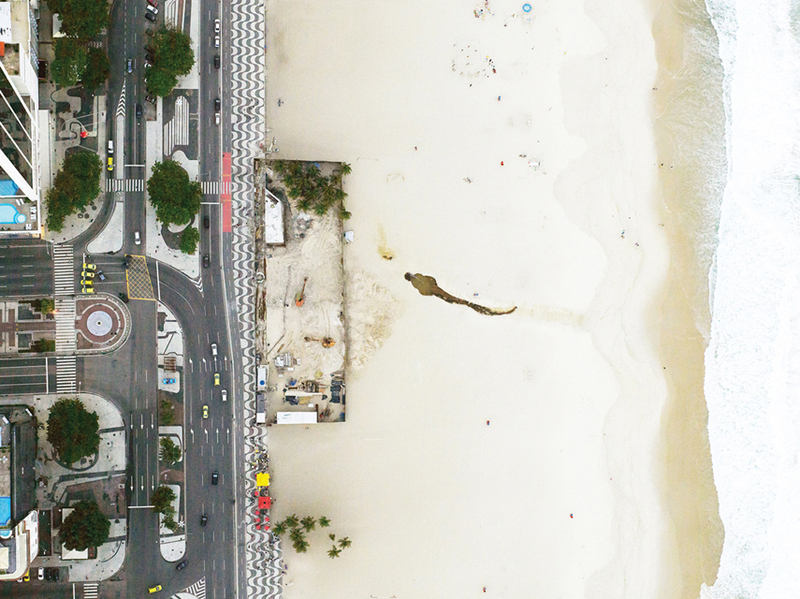 Morar Olimpíadas shot between 2014 and 2016 shows the rapid urban transformation of Rio de Janeiro as the city prepared to host the 2016 Summer Olympics. 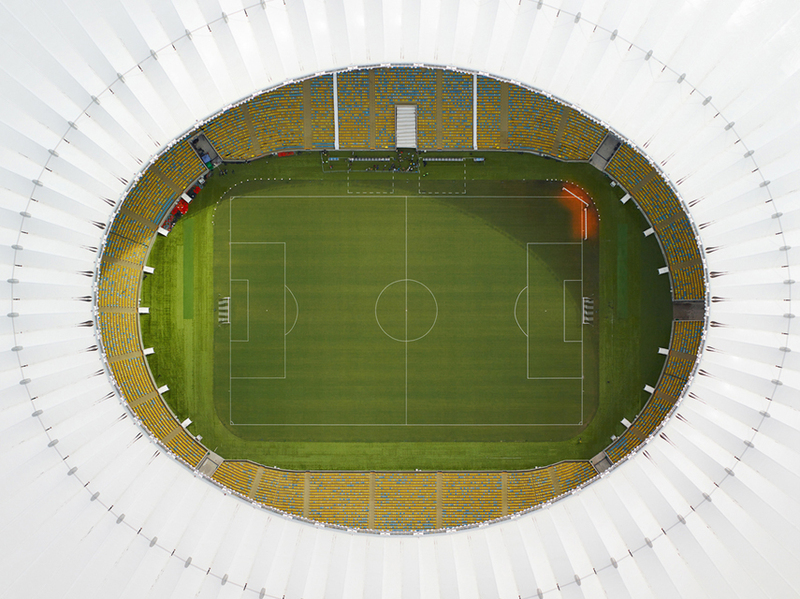 The cost of hosting a games has risen 200,000% since the first in 1896. 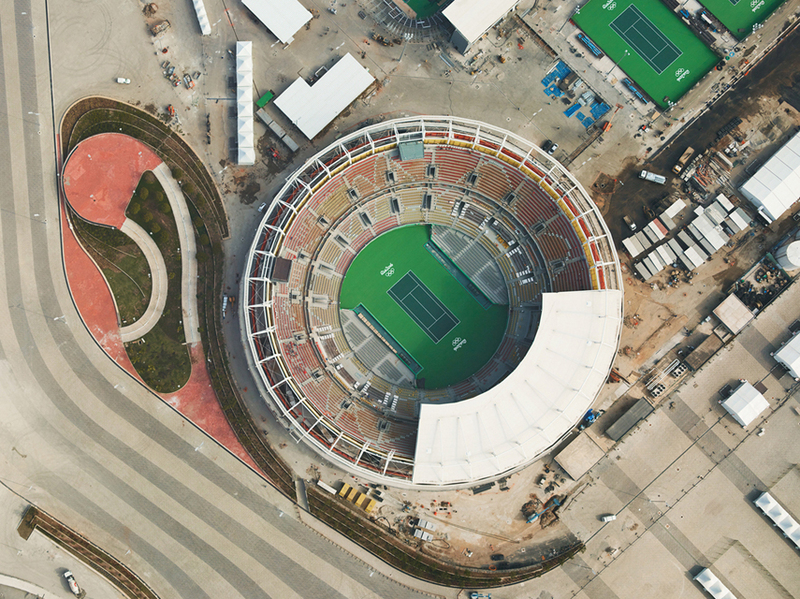 The official estimate for Rio 2016 is $12 billion including infrastructure projects, though some reports state it could be nearer $20 billion in the end. 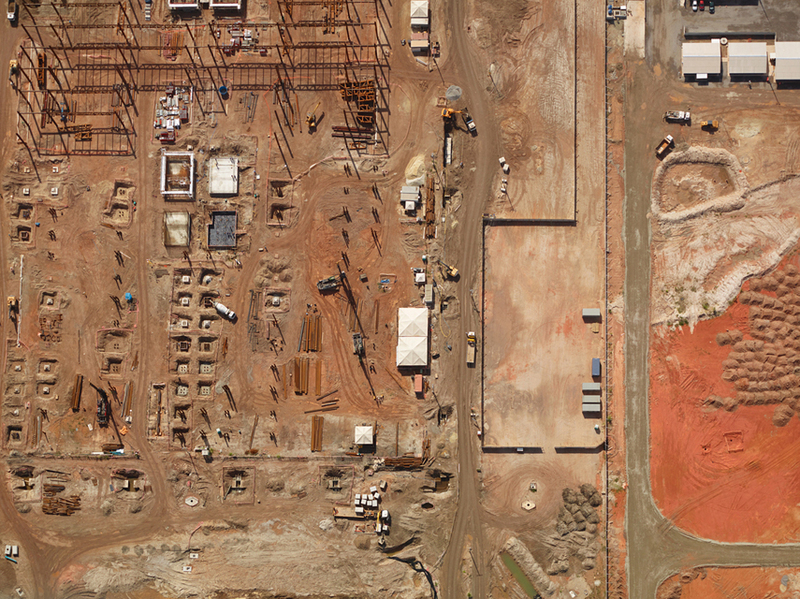 These construction processes typically transpire behind tall walls, blockades, and barriers. 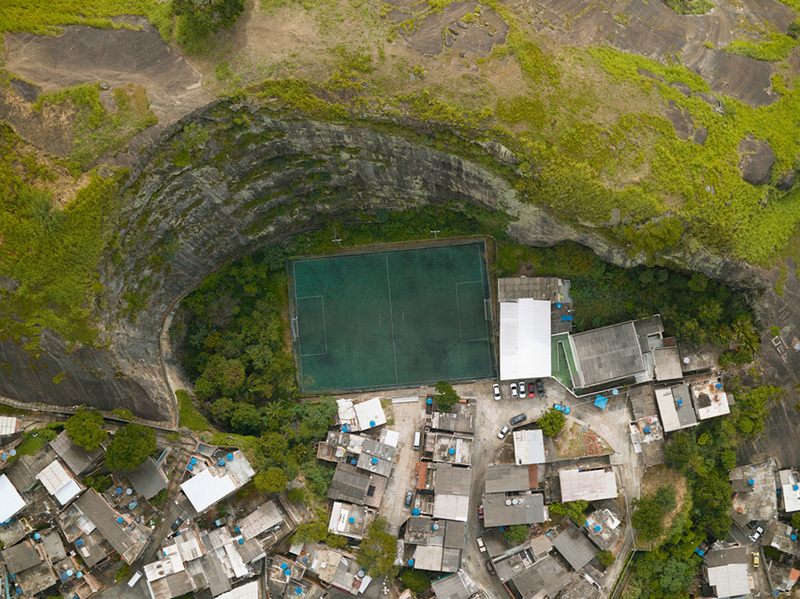 As such, they are difficult, if not impossible, to appreciate, let alone access from ground level. 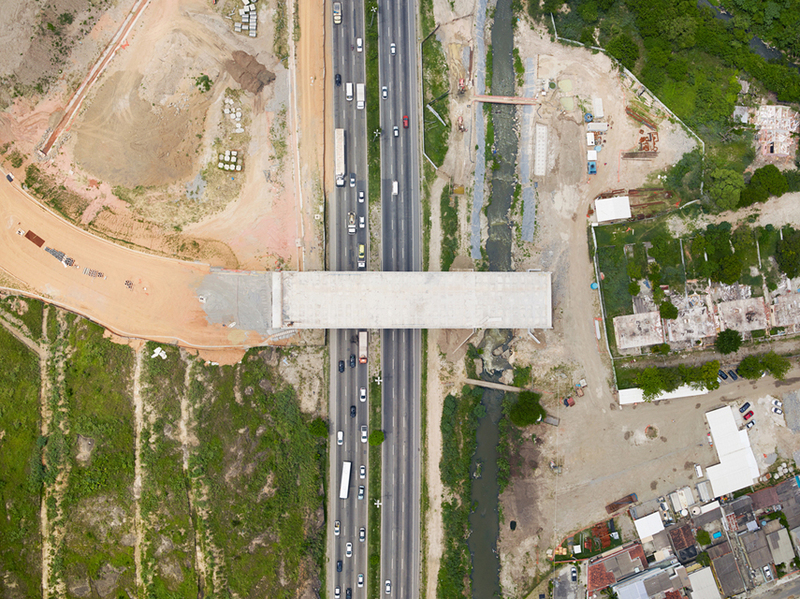 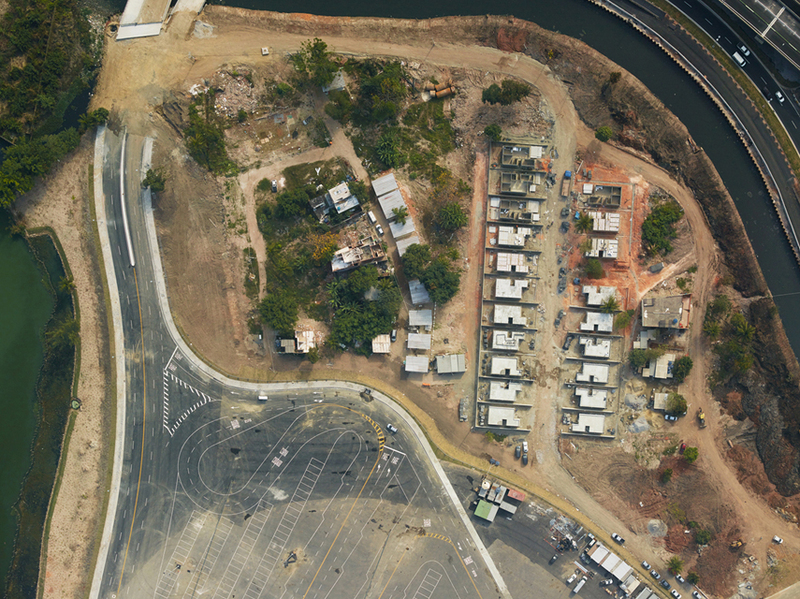 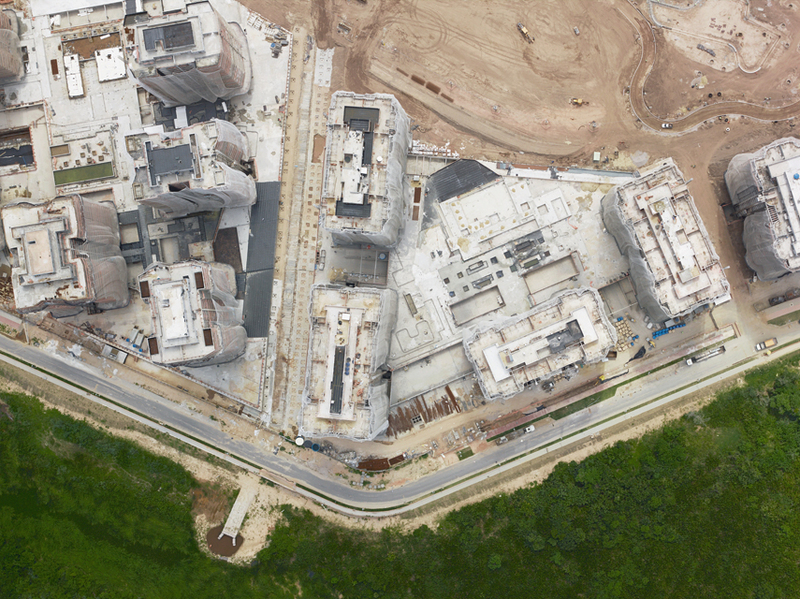 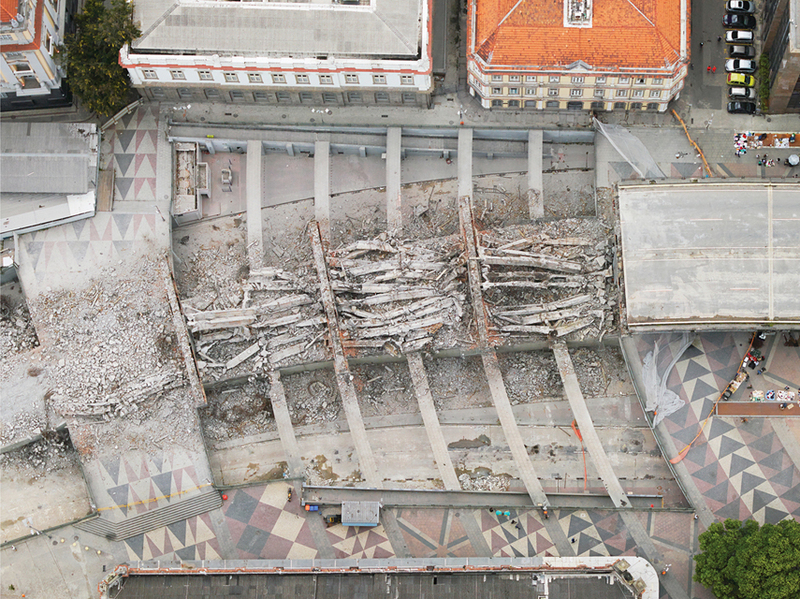 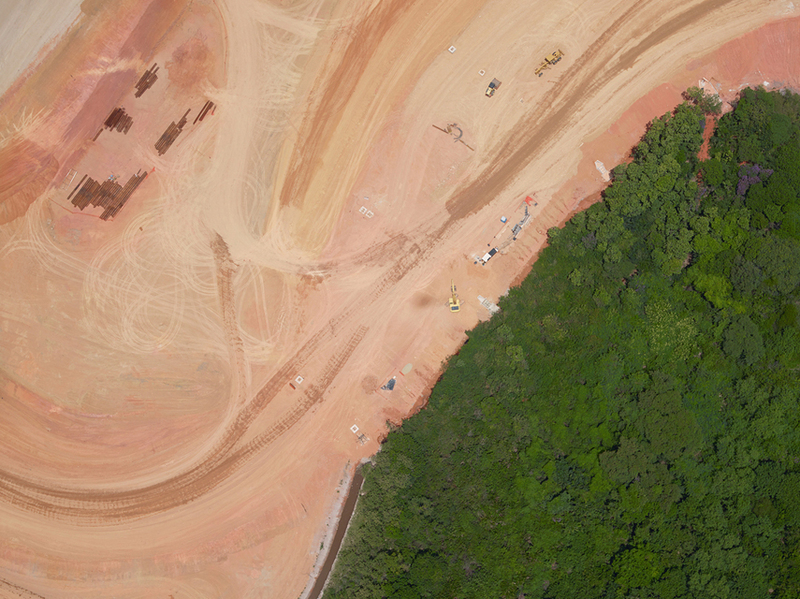 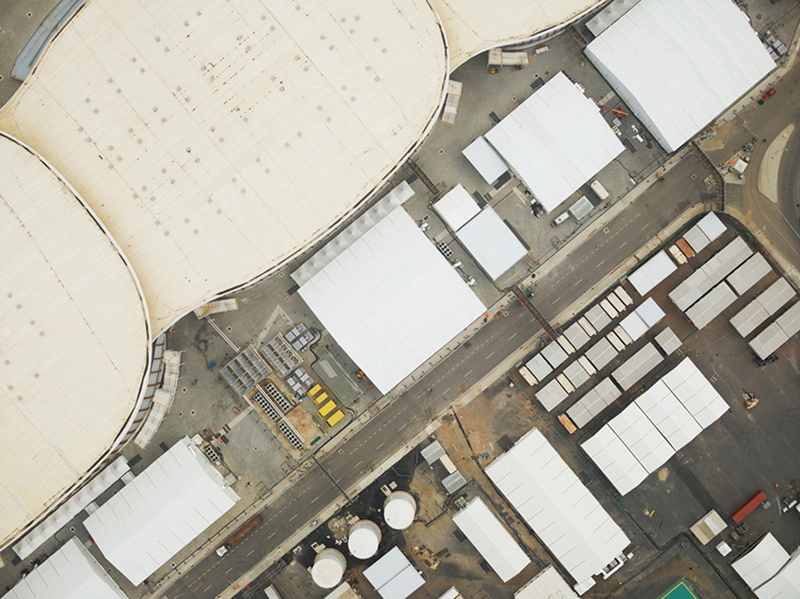 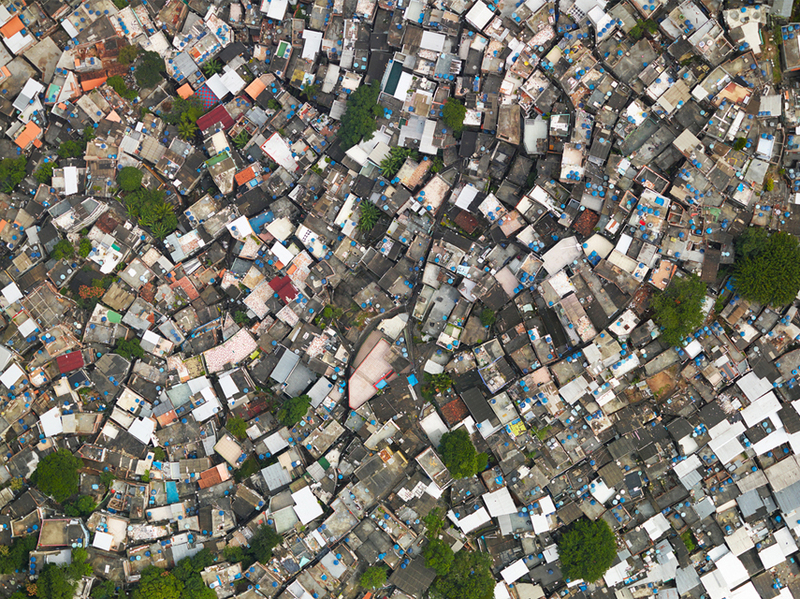 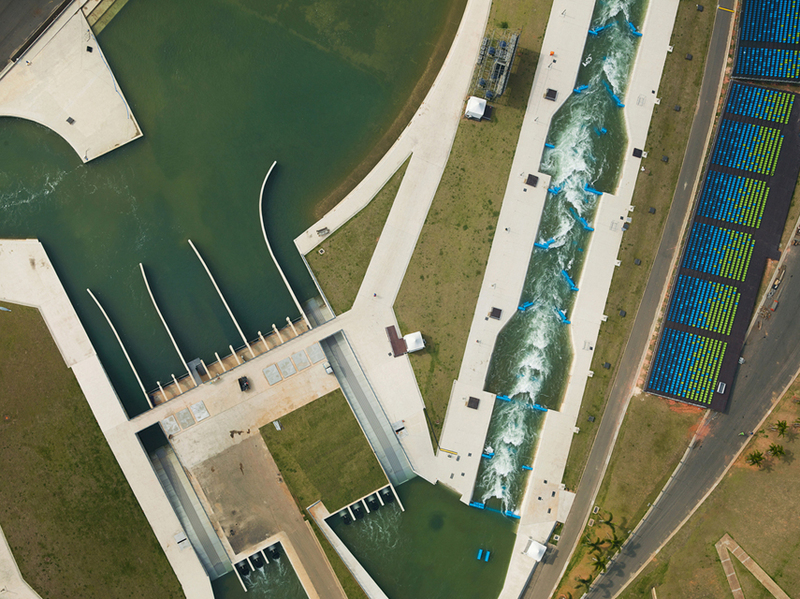 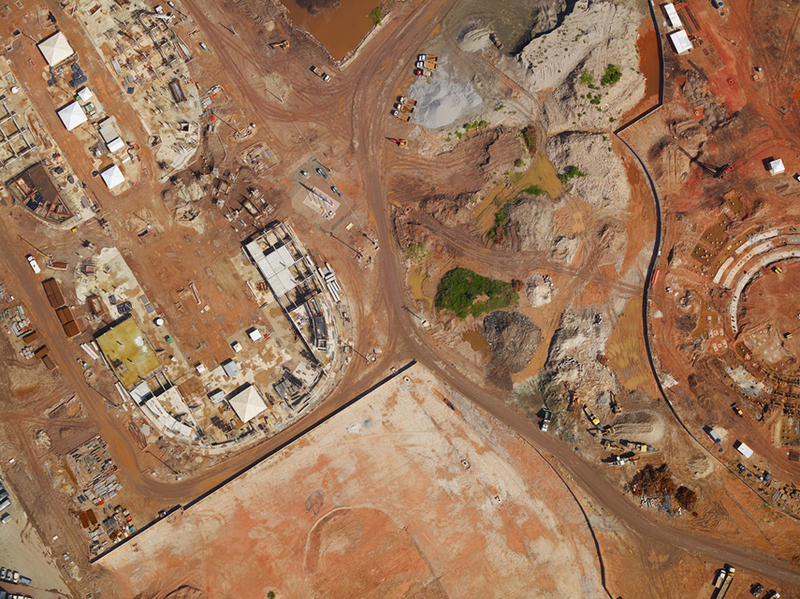 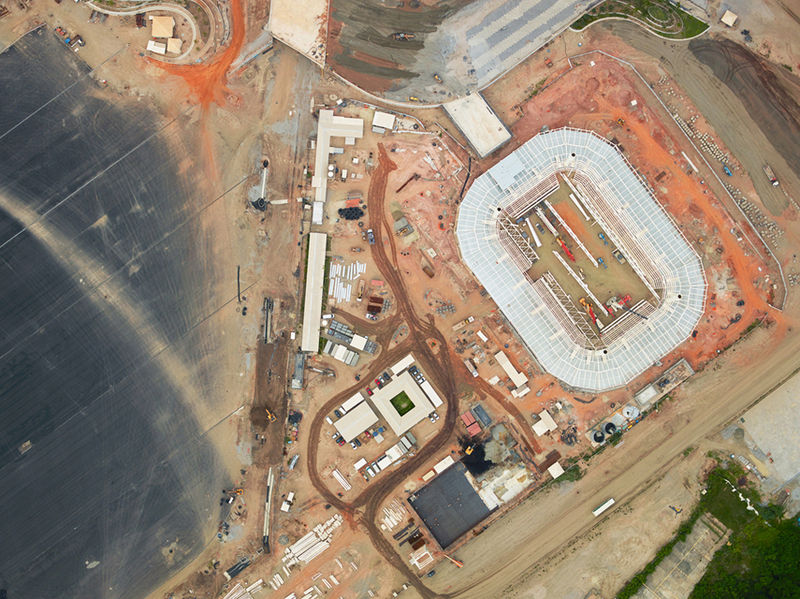 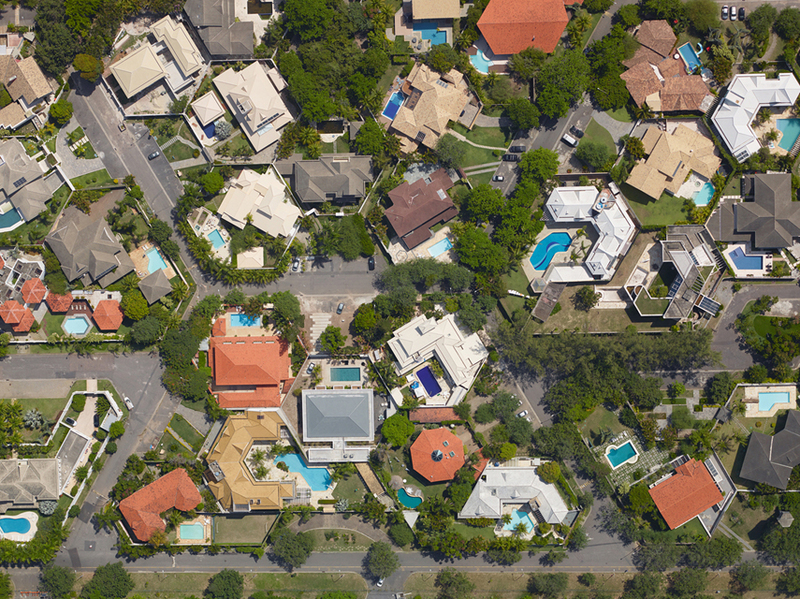 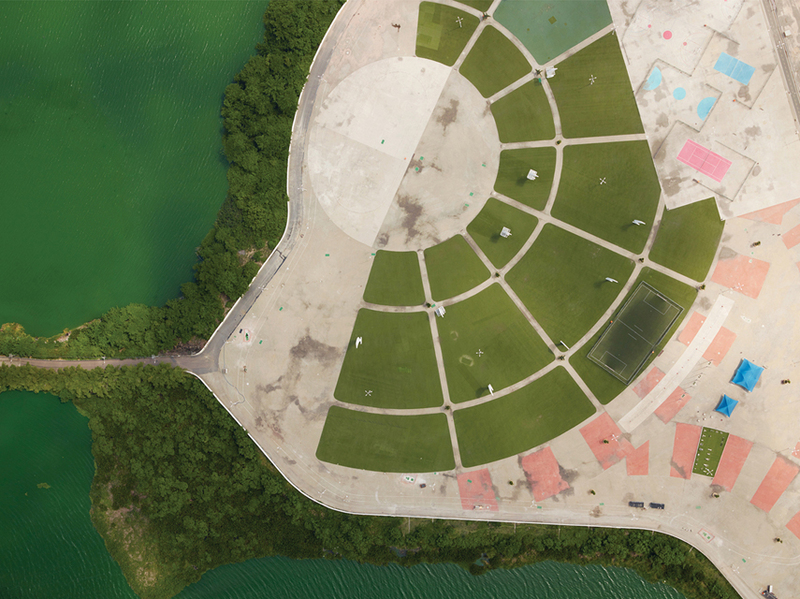 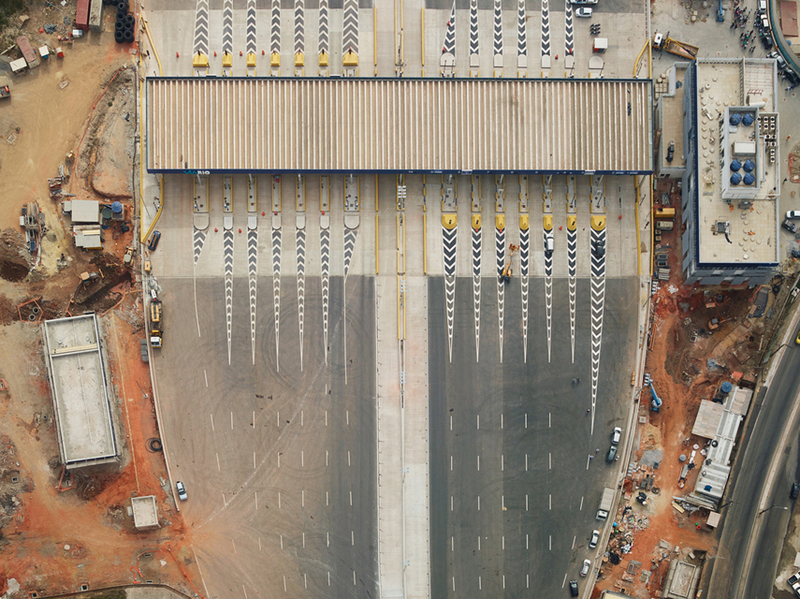 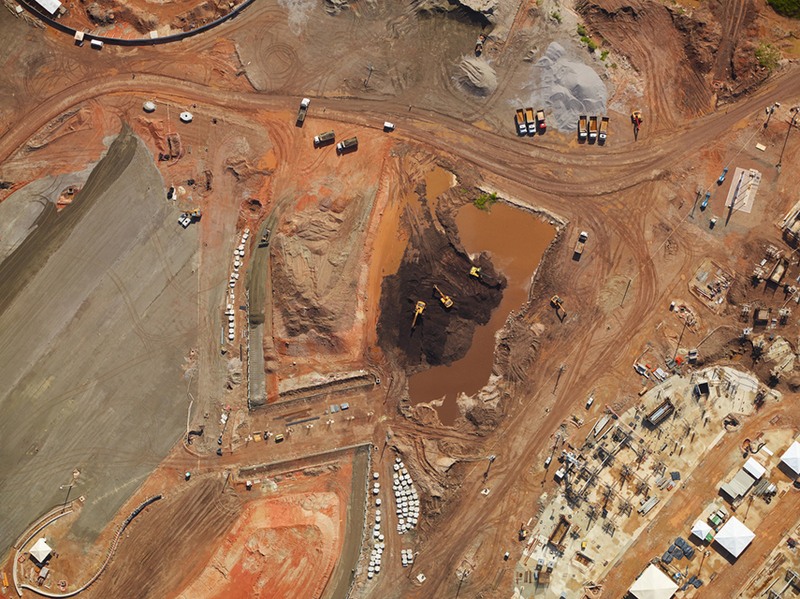 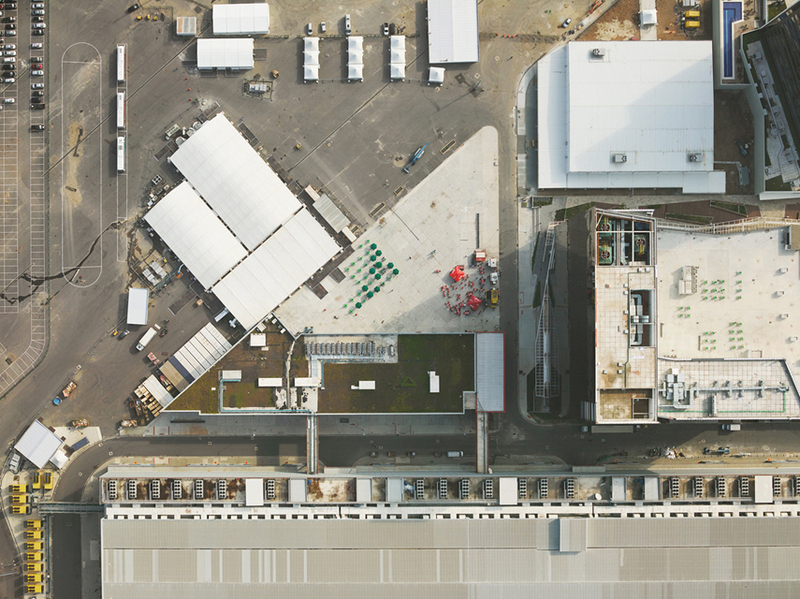 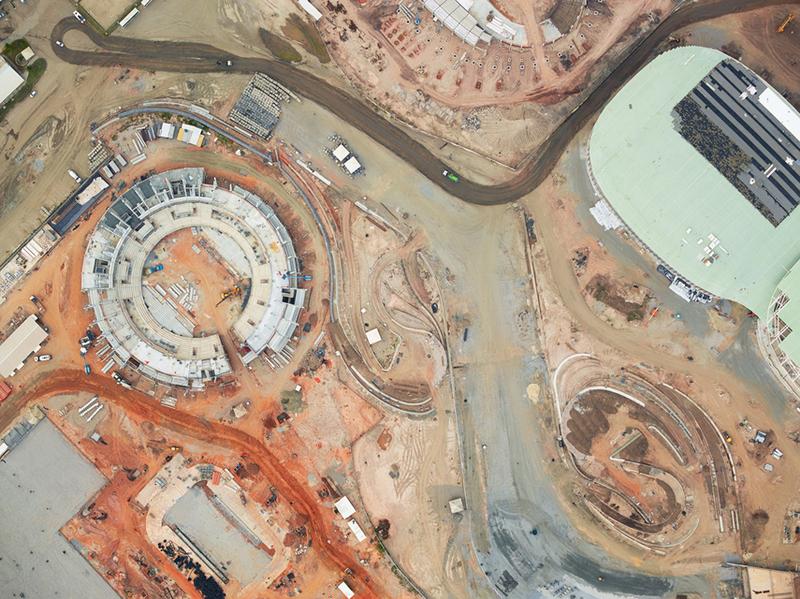 These vertical aerial images, which often take on a graphic, abstract appearance, offer not only a new perspective of the scale of construction and development in Rio, but also simultaneously highlight the social inequality that the Games brings. 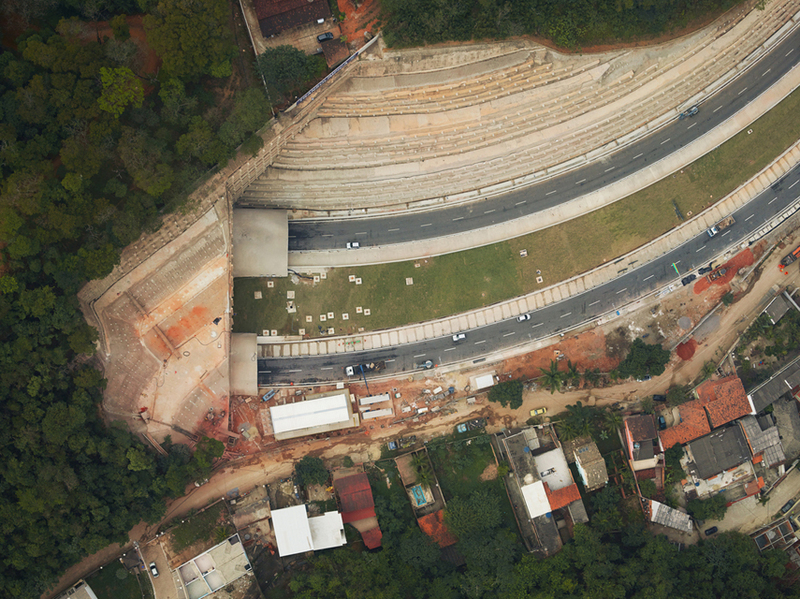 From new transport infrastructure linking wealthy neighborhood’s which locals cant afford to use, to bulldozing of favelas and new apartments for the rich in the post Olympic village. 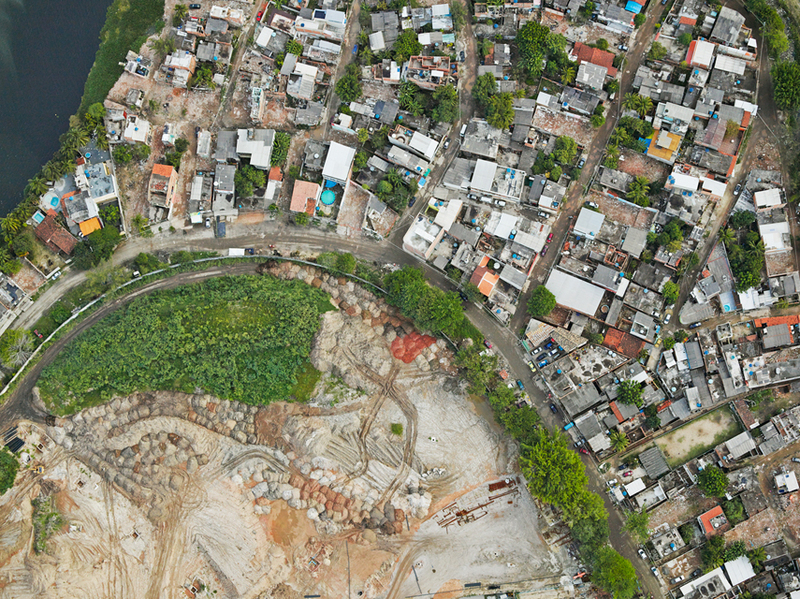 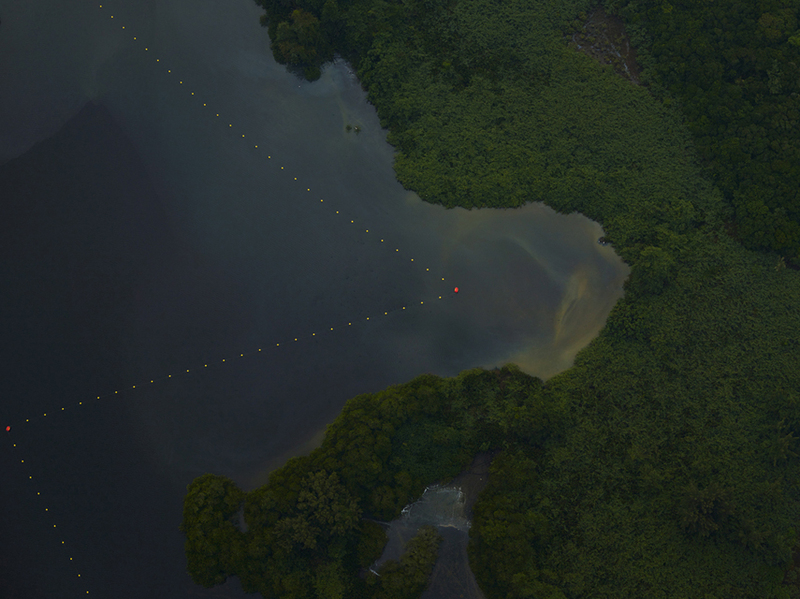 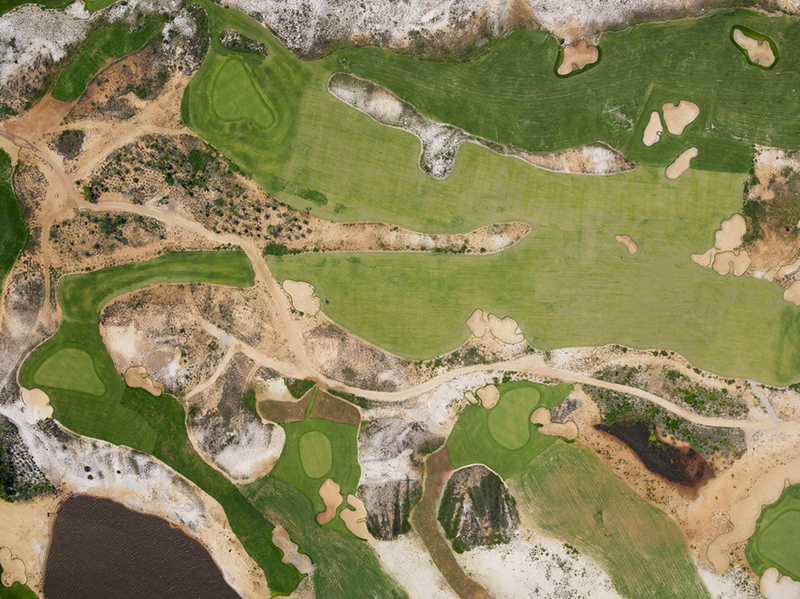 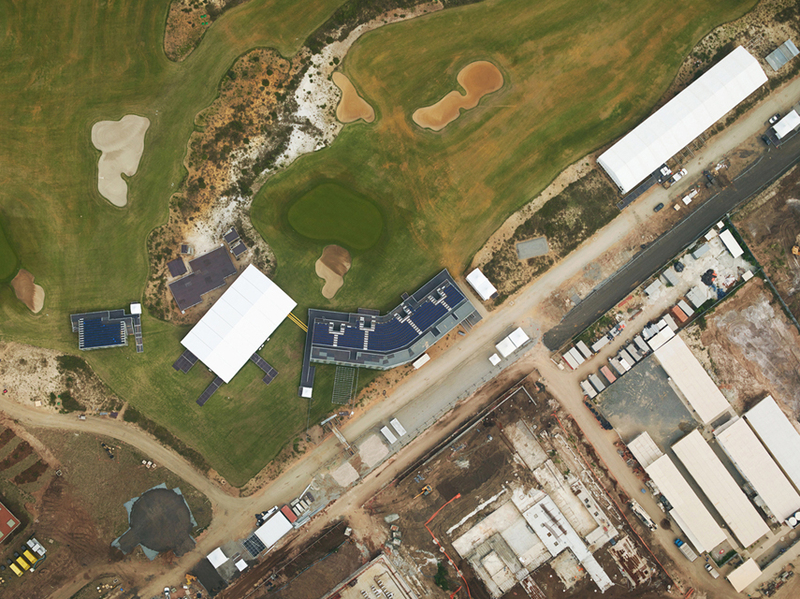 The negative environmental impact of the promised cleaning up of polluted waters and a Golf course built in an environmentally protected zone for the benefit of corrupt property developers and officials. 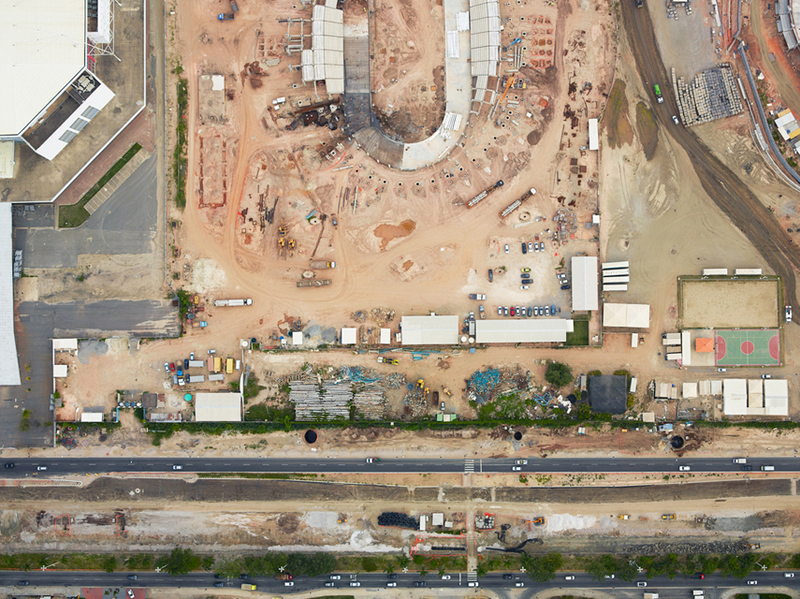 To the deaths of eleven construction workers caused through rushed building schedules and poor planning. 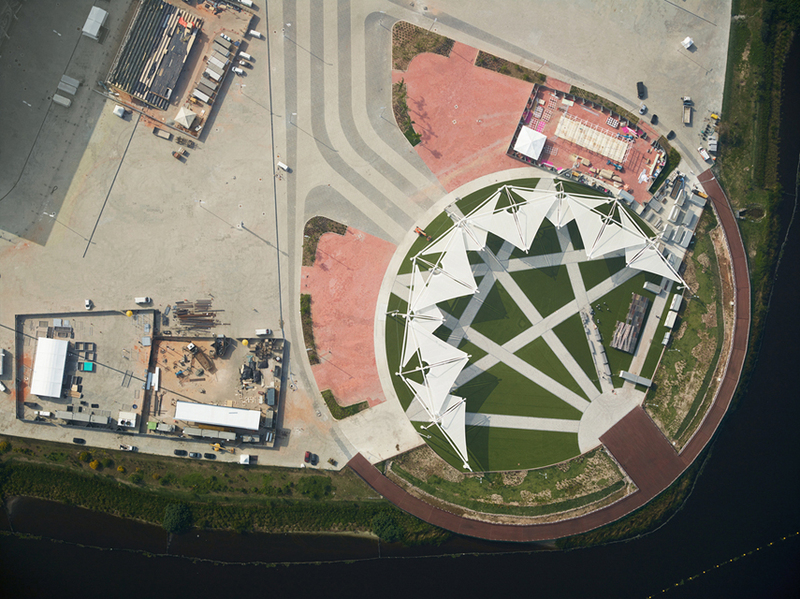 And of course the long term little or unused venues. 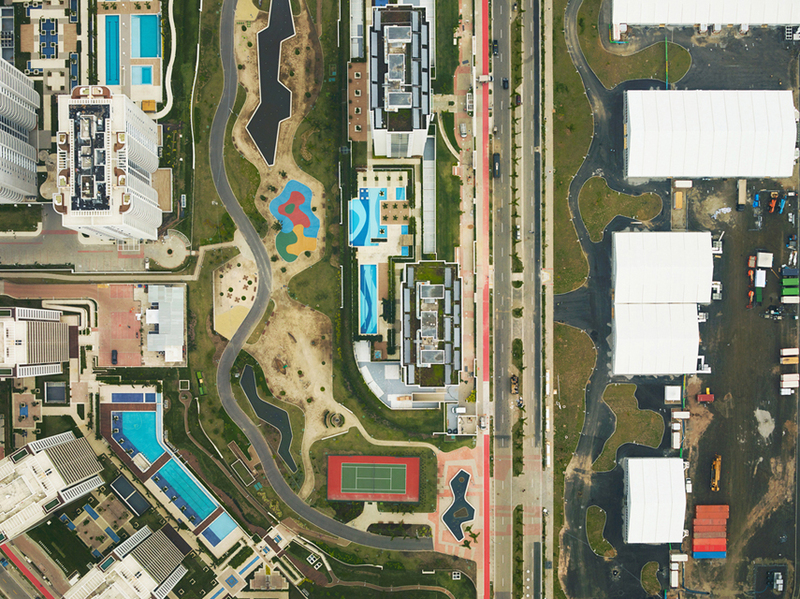 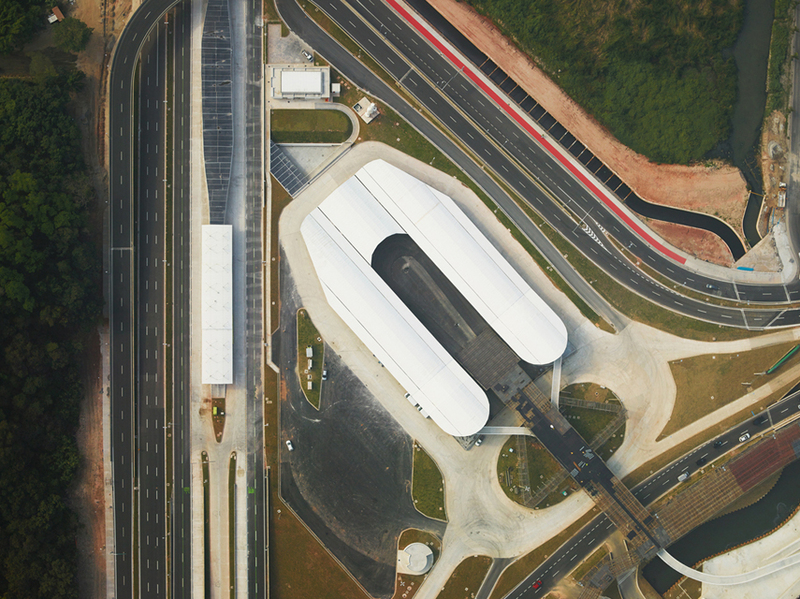 Morar Olimpíadas shows how the Olympic monolith imprints itself on to a host city and raises the question: for whom does Olympic development benefit?